Every Saturday as Latrisha Vetaw was growing up, her mom would fill up a cooler with food and drinks that she got for hosting a Tupperware party and take Vetaw and her siblings to the park for the day. She did this not because she was passionate about parks, but because as a single mother the park served as a free activity to fill the day. “My mom didn’t even know that parks had names. 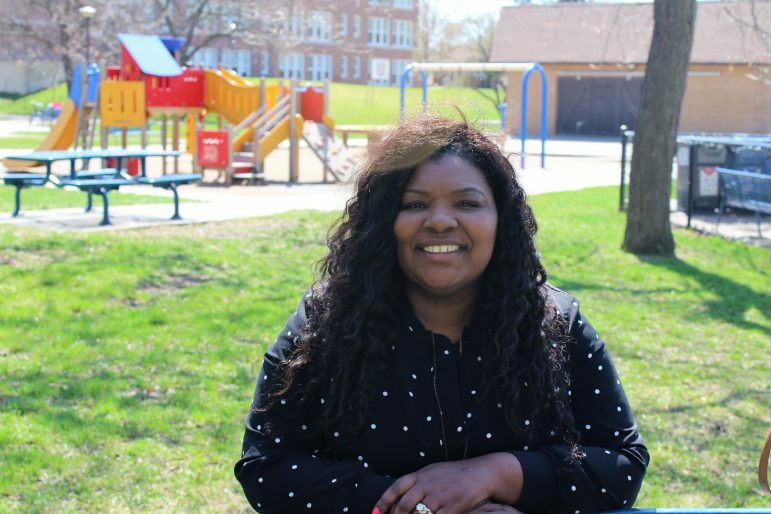 She just knew they were free,” said Vetaw, who is one of six newly elected Minneapolis Park Board commissioners. Vetaw is part of the progressive takeover of the parks board that has happened in the most recent elections. With six newly elected commissioners, three of whom are people of color, the current park board is the youngest in park history. Londel French and AK Hassan are the other two new commissioners of color. The progressive takeover of the park board comes at the same time a new and more progressive Minneapolis City Council has assumed office. The relationship between them is critical, Vetaw said. With this progressive wave, Vetaw said, the time to make things better for communities of color in Minneapolis is now. “If it doesn’t happen now, we’re screwed in this city. The new park board was elected when tensions were at a high point for the board after civil rights attorney and former mayoral candidate Nekima Levy-Pounds called out the board for its treatment of employees of color. Four protesters were removed from a meeting and ticketed for disorderly conduct. Having a board that is more representative of Minneapolis is important, said Vetaw, especially for a board that has been historically White. Beyond just the board of commissioners, Vetaw said the entire system is not structured for underserved groups to have a voice. Due to the time of the meetings, the limits on speaking, and rules requiring that people sign up to speak at meetings, “it’s a system that’s in place for, like, old White retired people,” Vetaw said. To change the system and make it more accessible to underserved communities, accountability and community engagement are crucial, two things Vetaw said she wants to focus on. “I think that when we win elections, we seem to forget that people voted for us. We leave them out, we don’t talk to them. We don’t go back to talk to those people who checked our names on the ballot,” Vetaw said. “We just hear the people who have the time to show up,” but not everyone has time to come to the board meetings. Vetaw said she and the park board, in general, need to be intentional about making sure everyone’s voice is being heard. The first thing on Vetaw’s, and the whole park board’s, to-do list is finding a new superintendent. Jane Miller, the last superintendent, stepped down during the transition period from the previous park board to the current board. Right now the board is looking into three possible candidates. It is also looking to hire an outside search firm as well as former superintendent Mary Merrill, the first black superintendent, to help expand the search. The board is also revisiting old ordinances that may no longer be relevant, like “Spitting and Lurking,” that it’s time to do away with. Watch the MSR in weeks ahead for stories on Commissioners Londel French and AK Hassan.